Toshiba Client Solutions Europe is embarking on a company rebrand and will now be known as Dynabook Europe. Toshiba Client Solutions Co joined Sharp Group on 1st October 2018, and changed its name to become Dynabook Inc. on 1st January 2019. The long-established ‘Dynabook’ brand has a well known heritage in Japan. “The brand values of this new business demonstrates the joint value propositions of our parent companies,” said Dynabook. As an industry leader, Toshiba launched the world’s first laptop computer – the T1100 in 1985 and followed it up with the world’s first notebook computer – the Dynabook J-3100 SS001 in 1989. “The Dynabook brand epitomises our rich heritage of over 30 years of innovation in mobile computing whilst representing our renewed investment and scale,” said Damian Jaume, president of Dynabook Europe. “Our brand is more than a name or logo, it is the embodiment of our culture and our values. These remain consistent and strong in Dynabook Europe through our highly skilled and knowledgeable people, our award winning products, our obsession with quality, security, and innovation, and our emphasis on trust and building long standing partnerships. Sharp Corporation obtained 80.1% of Toshiba Client Solutions in October 2018 and saw Yoshihisa Ishida, the executive vice president of Sharp, join the company as its new representative director, chairman. Jaume will continue to lead the business in EMEA. Dynabook Europe will offer a broad and collaborative product roadmap – including a broad range of mobile computing and mobile edge computing solutions. 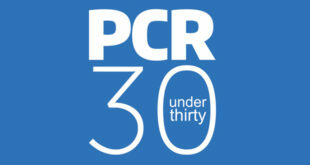 Previous Read PCR’s Awards Special online now!